Shaadi season is going to be here soon and c’mon let’s admit it, even if you are the bride’s sister’s chachi’s bhanji’s daughter, you still want to look better than the bride herself. It’s okay, we are all guilty of that. BUT, but, if you are a bride-to-be and you still don’t know what to wear for your wedding, you have come to right place young woman. 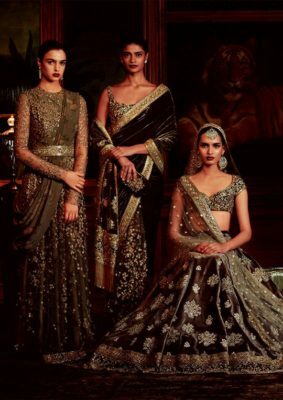 Your perfect Indian wedding outfit should be based on your Indian skin tone whether you are fair, medium or dark. Before buying your bridal lehenga, access your complexion and then choose your bridal wear. Read on, and thank me later. Also, if you’re the bhanji’s daughter, read on as well, just please don’t steal the pretty bride’s limelight, do it for your wedding, not hers. 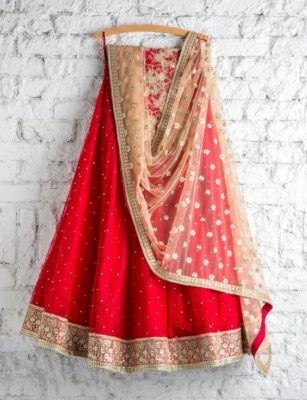 While most traditional brides go for a red bridal lehenga, think to yourself if red is really your colour. 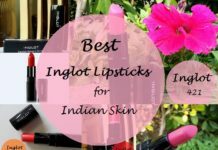 Red might suit a dusky bride more than a fair skin bride. While a pink wedding lehenga is more apt for fair skin brides rather than dark skin toned brides. You see..buy the colour which works for your complexion whether fair or wheatish. Think which lehenga color suits you the best. Don’t just follow the trends. 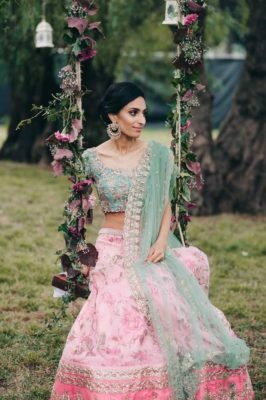 Pastel lehengas are trending but that doesnt mean you should buy your wedding outfit in that colour. 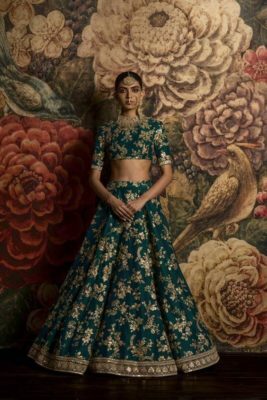 Have you ever seen the most gorgeous wedding trousseau and realized that the lehenga is beautiful, but it just looks odd on you, like something is not right. It’s you, not the lehenga. We often wear colors that are our “favorite”, but we do not think about whether it suits us or not. For example, if hot pink is your favorite color, it is not going to suit all skin tones no matter how beautiful the lehenga is. When you dress up as a bride, you dress so that people notice you, rather than just the outfit. Remember this while bridal shopping. Compliments should sound like, “Wow you look beautiful in this dress!”, rather than, “Wow, that’s a beautiful dress!”. Get the difference? No? Don’t worry, simply read on. 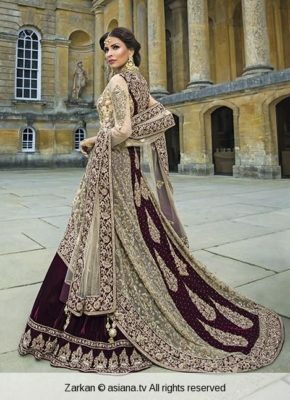 Before we decide to rush to the wedding store and choose the colour of your Indian bridal dress, do some study, some research, understand what works for you and what does not, and embrace it. Do not buy the first thing you see, look for a while, and pick the best. Avoid shopping for your lehenga online, go wedding shopping with your mom, sister or your girlfriends. How to choose the best bridal lehenga color according to complexion? Grab a pen and paper and let’s get started, shall we? 1. Identifying your skin color. In India, wee prominently have 3 major skin tones. They are: Fair, Wheatish and Dusky. Identify which category you come under and make a note it. An Indian bride’s skin complexion plays the priority because we have no shortage of colours for bridal outfits. 2. 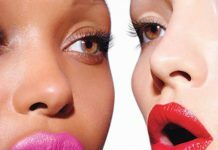 Identify your skin undertone. This is very important. 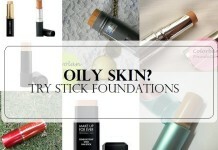 Your undertone is the determining factor of which colors suit you. There are 2 major undertones, warm and cool. In case you are not sure, grab a white and an off white piece of cloth. 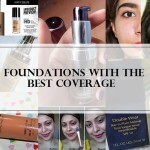 If your skin looks brighter while wearing the white piece, you have a cool undertone. If not, then warm. Another test is, if the veins on your wrist are blue then you have cool undertones and if they are green then you have warm undertones. 3. Understanding your colors based on seasons. While selecting the right lehenga color according to your skin tone is important, but seasons play an important role too. Now this step may seem a little difficult to follow, but if you got the first two steps clear, this will not be a problem. 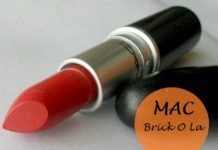 If you are fair with a warm undertone, your colors are Spring. If you are fair with a cool undertone, you are Summer. If you are Wheatish with a warm undertone, you are Spring, and if you have a cool undertone, you are Autumn. If you are Dusky with a warm undertone, you are Autumn, else, you are Winter. So confusing, isn’t it? Don’t worry, your confusion will be cleared in a minute. Lemon Yellow, Scarlet, Bubblegum Pink, Light Green, Sky blue, etc. Cool toned fair brides try lehengas in these shades or shades that come in the lighter end of the color spectrum. 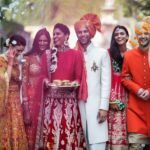 Not just for your wedding dress, you can use this analysis even for your Roka, Sangeet, Mehendi, whatever the occasion may be. Here are a few bridal outfit choices. 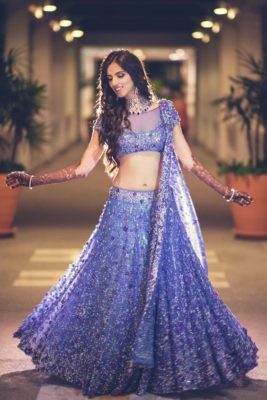 My personal favorite is the last blue lehenga, but alas, it does not come in my color range. I’m quite sad about that. Now, if you are a Spring, your shades are on the pastel side and the block shades. Pastels are not everybody’s cup of tea, so, if you can pull it off, wear pastels!! 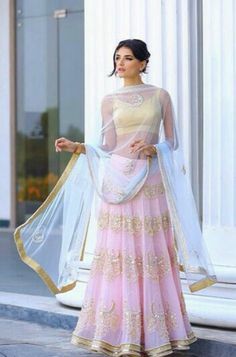 Pastel lehengas are so in right now, but apart from being in, you also need the right skin tone to wear right? And if pastels are not your thing, do not even consider it. I’m saying this out of personal experience, if you are a fall or a winter, do not try pastels, it is going to make your skin pale and blochy. Highlight your skin complexion by wearing the right lehenga color, not the other way round. With this being said, understand that this guide is not to change your perspective about fashion and your favorite colors completely, but, it is meant give direction to your sense of fashion. For example if I am a Winter and I like red, instead of opting for the typical Crimson Red, I can opt for Wine or Burgundy instead. Or, if I am an Autumn and I like Yellow, I can wear a Yellow Ochre rather than a Lemon Yellow. Get the difference? 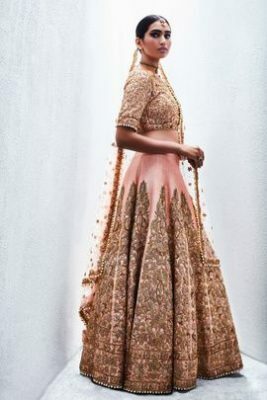 Now, you are completely free to read past this entire guide on how to choose the best bridal lehenga color and do whatever you ultimately want to do, but understand that this wedding post is just giving you a sense of understanding of colors and knowing what works for your skin tone as well as your undertone. Go, get your shaadi outfits ready! Keep these points in mind, or don’t, its your wish! Happy wedding shopping and until then, cheers! Which is your favourite lehenga colour? Share your reviews with us. Lovely post dear. Very fruitful information. I have into into styling too and it will help me a lot satisfying my customers too. Wonderful. Very nice post on types of traditional bridal lehenga. Very nice post. Checking such blogs to collect ideas and inspiration for my wedding. Really got an idea of the colour that will be perfect for my skin tone. am going to search for some nice emerald and blue shade. Thank You. Hey, You have given smart tips to choose indian traditional wear Lehenga-Choli for brides & Bridesmaids to select perfect color combination. 1st time i have gone through Article like this. I will appreciate if you share more tips for other dressing styles. There are some reason to choose a lehenga. It should be unique, give comfort, variety, girlish look and shopping. In one respect we are in the same boat…I’m a summer girl too! And I hate cold winters unless its up to my bearable standards! Your style statement is adorable I must say! I Really Like This Post Thanks for Sharing. 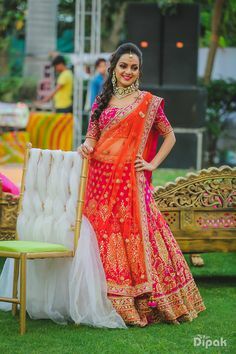 Choosing right bridal lehenga color is as important as design and style, If it doesn’t match, great designs, heavy works, high price, everything fades away. 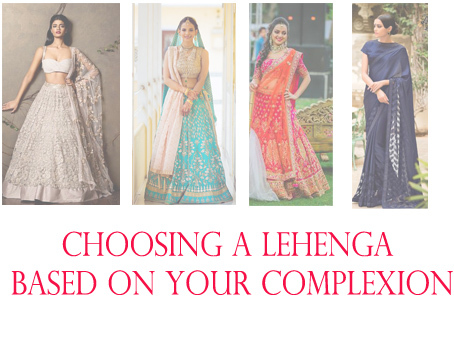 Seriously, You have made an amazing guide to choosing lehenga color. And your collection has been impressive. Hi…. 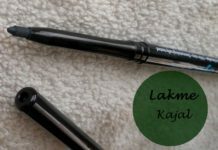 Very great article that I found here, its written perfectly with combination of nice designs. Hey their! Thank you so much for the article.It was a great help. Also,can u please share a look or something on Bengali Bridal Saree or some of the Bollywood Replicas.Will be waiting for the reply! 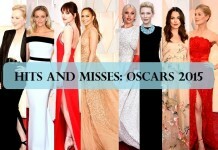 Hey, I found great points here which has written very clearly with the grouping of lovely outfits. Amazing post. Reading blogs to collect ideas and inspiration for weddings. Really got an idea of the colour that will be perfect for skin tone. i thought to share it.Thank you. Amazing post. Reading blogs to collect ideas and inspiration for weddings. 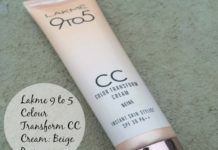 Really got an idea of the colour that will be perfect for skin tone.I have came across these i thought to share it.Thank you. Great Post. These are best indian Designer lehenga cholis which every women look out for. Thanks for sharing!! Very nice collections. 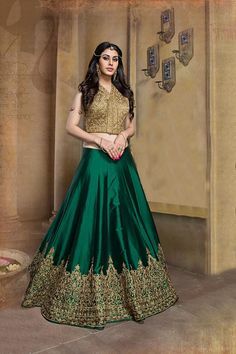 This are the best Latest designs of lehenga choli which any women looks to buy. Thanks for sharing!! I am ‘Spring’ :D and I loved the lehengas shown in pastel! 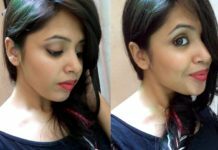 nice your blog i liked……………. My sister getting marry next month and with Wedding Dress she is still struggling and now i know what i need to do i am gonna show this post to her.Thanks alot! It’s really very help full for bridal on there special day’s. 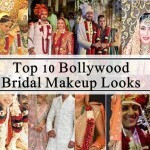 I am beauty expert, we have started bridal makeup services to provide at their wedding venue. You have just click on below link and you can book an beauty artist for your special. That’s an amazing article Ria, this the thing I have been searching for. It is literally difficult task to the choose the right Lehenga for your skin complex. And I seriously never knew that there were so many factors to watch when selecting a Lehenga. And I do really like the portion you have mentioned about identifying skin color, skin undertone. There are many problems when we try to choose clothes. And when you are choosing for the wedding, it’s really very complex. Your Ideas are so easy and helpful. Thank you so much for sharing with us. Wow, you have nice collection of bridal lehengas as per complexion. Surely will make my work easy when shopping. Hello Author, the outfit is just amazing. And you have to Describe the bridal lehengas of today generation it’s really amazing. Keep Share your fashion tips and idea with Us. We INSD also provide Fashion Designing Courses in Delhi at Paschim Vihar center. Thanks for sharing this valuable information to us. 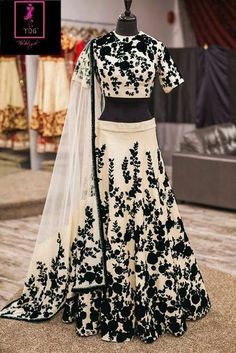 Its really help me to choosing lehenga compare to skin tone. Thanks a lot. Nice collection information and Photos. 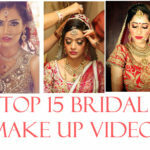 This blog would be helpful brides on their occassion.Thank you so much for sharing this information with us. 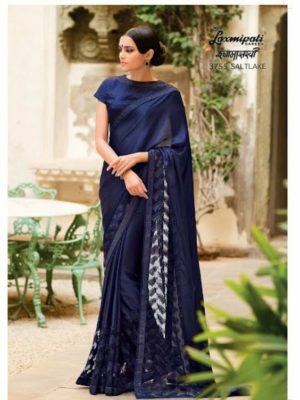 Also Check out our collection of Lehenga Choli, Saree and Gown many more. Check out our collection of Lehenga Choli, Saree and Gown many more. Great information thanks for sharing it. i saw for the first time that combination of lehenga and color of our skin should make the bride or groom a different look. i love the concept you explained. love the lehengas mostly the pastel and red bridal lehenga. When you are choosing a wedding dress for your big and important day, it’s really complex. Your Ideas are so easy and helpful. Thank-you so much for sharing with all. Good looking…Amazing collection with so many vibrant colors. Thanks for such useful information. it was really interesting reading your blog. Very well explained and its good lines about fashion. We International School of Design is the top Fashion Designing Institutes in Delhi. Are you looking to buy some of the women’s wear for yourself or for your near and dear ones, then buy the clothes from the Alippo.com, you can use code: ALIPPO10 to get 10% off on all the women’s wear.